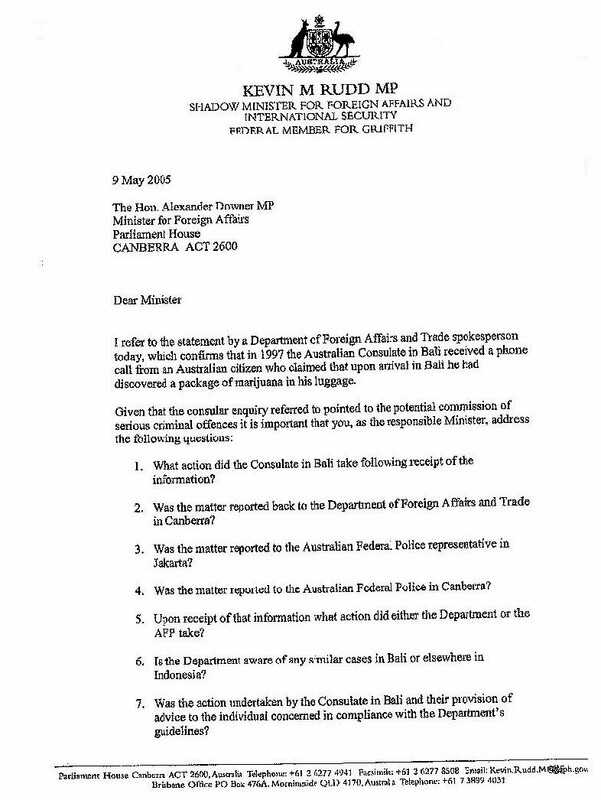 Kevin Rudd challenges Foreign Minister Downer, during the period in which the AFP were falsely denying that drug syndicates were using innocent passengers. He refers to the case of 'Steve & Dee', who had found a large consignment of marijuana in their luggage when they arrived in Bali, and had taken it to the Australian consulate. 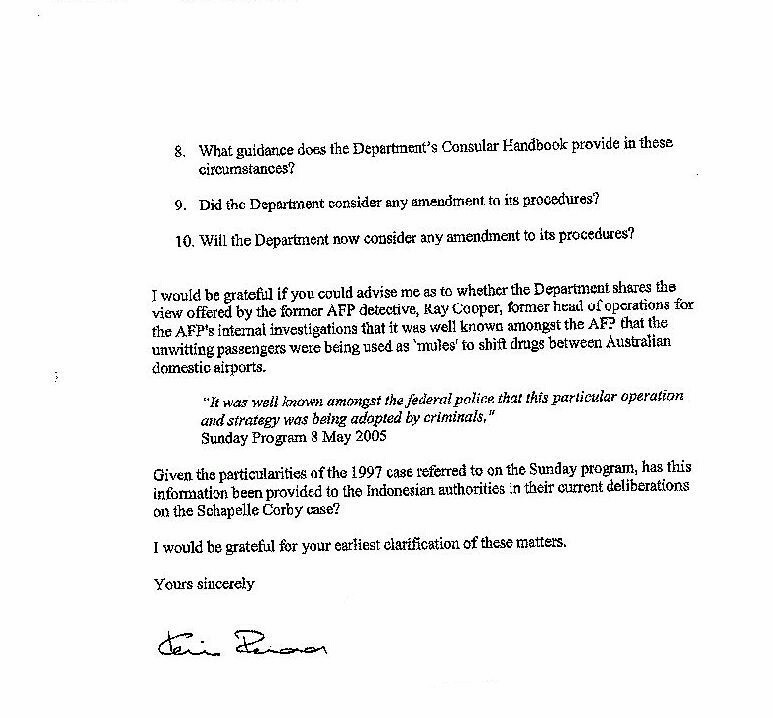 He also refers to former AFP officer, Ray Cooper, who had blown the whistle on the AFP, by claiming that they were well aware of this practice.